one free 1.5-2.5cm penguin minifigure included, to decor your succulent plants and nimiature world.Those figures are lightweight, waterproof, with a built-in balancing iron ball. 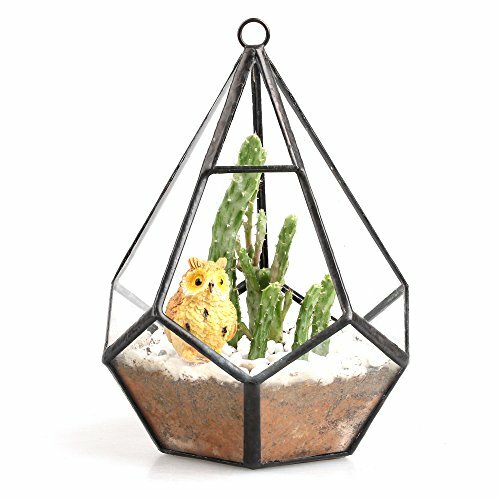 1.Elegant glass geometric terrarium is perfect for holding plants or other objects, and can serve as a stylish and modern centerpiece by itself. 3.This hanging terrarium is simple and versatile, creates a fashion life atmosphere, makes your life more poetic and relaxing. Fit for succulents, air plants, small plants, fern,cactus, moss, airplants, or other decorative objects.